The “Gold Coast” is famous around the world, and Palm Beach has certainly earned that honor. The stunning Intracoastal Waterway connects Palm Beach to its neighbors West Palm Beach and Lake Worth. 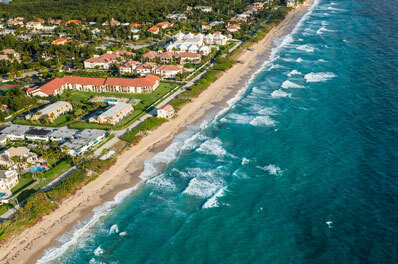 Palm Beach has a year-round population of 10,468, however during tourist season, the town swells to an amazing 30,000. Stroll along the Palm Beach’s lovely Worth Avenue, sample its trendy restaurants, or enjoy its enriching museums, theaters, and galleries, all proudly exhibiting the culture of Palm Beach. All Points Mobile Shredding has served the businesses and residents of Palm Beach since 1994, and in 2013, we also began providing medical waste disposal services through All Points Medical Waste. We are proud to provide excellent customer service, competitive pricing, and a full range of medical waste services to Palm Beach’s small to mid-sized medical waste generators. All Points Medical Waste is a woman-owned and operated business. The responsible disposal of medical waste is required by law. Choosing the right medical waste company allows you to protect the health of others, your organization, and the environment we all share. Too many medical waste generators don’t understand that, in the eyes of the law, they are responsible for their medical waste from creation through disposal. You need to work with a company who will properly collect, transport and dispose of your medical waste and sharps the right way, each and every time. Disposing of your medical waste properly can save your organization thousands of dollars, countless hours, and help you avoid legal violations. At All Points Medical Waste, our mission is to provide exceptional customer service at competitive rates. We are a full-service security company that offers our clients medical waste disposal services and online compliance training for employees, including safe and compliant handling of Bloodborne Pathogens, Material Safety Data Sheets (MSDS), Department of Transportation (DOT) and HIPAA compliance, Safety Plans, and much more. We also provide mobile document shredding and hard drive destruction for a total security solution. We are proud to hire drivers and customer care representatives who have served in the U.S. military, and every staff member is subject to background checks and regular drug testing as a condition of their employment. If you are interested in All Points Medical Waste services in Palm Beach, please contact us by phone or complete the form on this page.